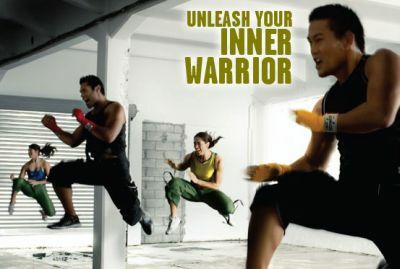 Ready to UNLEASH your inner WARRIOR? The LES MILLS COMBAT Challenge Pack features 7 high-energy workouts, designed to let you punch, kick, and strike your way to flatter abs, stronger legs, tighter buns, and seriously defined arms and shoulders. The breakthrough science of Fast Twitch Integration Training focuses on the muscles with the greatest capacity for change, and works them like crazy! 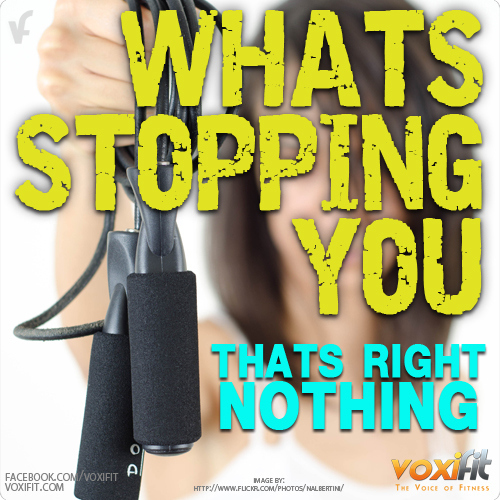 So you're burning massive amounts of fat and calories both during the workout and long after. That's how it builds your best body ever in just 60 days. and stances you will use throughout all the LES MILLS COMBAT workouts. 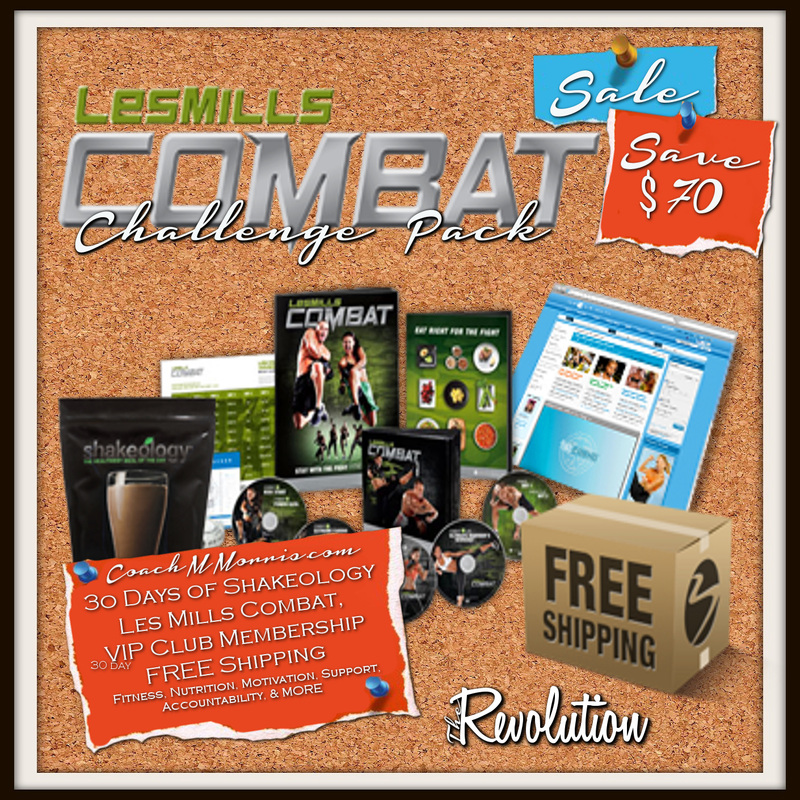 If you order the LES MILLS COMBAT Challenge Pack through ME, you'll receive the LES MILLS COMBAT 30: LIVE workout. A $19.95 value—FREE! A high-voltage COMBAT class that was shot live in the UK! It's designed to carve leaner arms, shoulders, and upper back, while delivering explosive leg training and high-intensity cardio to kick-start your metabolic burn. Simplify your nutrition with the convenient and delicious daily superfood protein shake that helps give you energy for your workouts, reduces junk-food cravings and may help you reach your fitness goals faster. A nutrient-dense combination of antioxidants, phytonutrients, adaptogens, and many other rare ingredients gives your body superfoods you can't get from a normal diet. 100% vegan option now available. We're so sure you'll love this program, we're giving you our 60-day money-back guarantee. If you're not completely satisfied, simply call Customer Service to return LES MILLS COMBAT within 60 days for a refund of the purchase price, less any applicable shipping and handling.